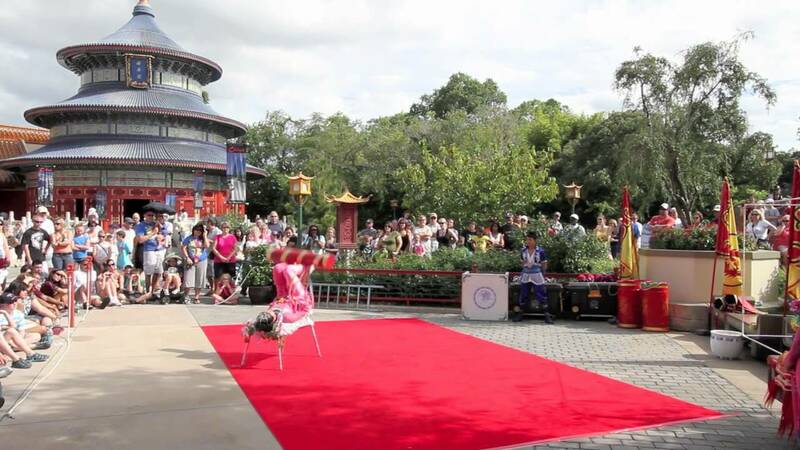 "The Jeweled Dragon Acrobats" are an acrobatic troupe performing in the China Pavilion at Epcot's World Showcase. "The Jeweled Dragon Acrobats" typically perform 5 days a week at 3:05pm, 4:15pm, 5:15pm, 6:15pm and 7:15pm (times may vary). The group consists of 6 men and 2 women, aged 18-21. The group replaced the "The Dragon Legend Acrobats".